It’s not a bird and it’s not a plane, but a drone is a very dangerous thing to have in the air when it’s not supposed to be, as officials in New York and New Jersey would like to remind people after a spate of recent drone sightings. In the latest incident, crews on four different flights spotted a drone in the path of airplanes near Newark Airport on Sunday. The Port Authority of New York and New Jersey said a drone was found on the final approach path to a runway at Newark Liberty International Airport between noon and 12:30 p.m. Sunday, reports CBS New York. Such unpredictable machines are dangerous to commercial aircraft, as they can interfere with a flight or even take one down, much like a bird strike. But made of metal instead of feathers and flesh, making them even more hazardous. Pilots of four commercial flights, which were between 2,000 and 3,000 feet in the air, spotted the drone somewhere within eight and 13 miles of the airport, the Federal Aviation Administration said. None of the flights had to take evasive action, and each one landed safely, the FAA added. This is the most recent incident in a troublesome trend, the FAA says: Last week there were three reports in as many days near John F. Kennedy International. 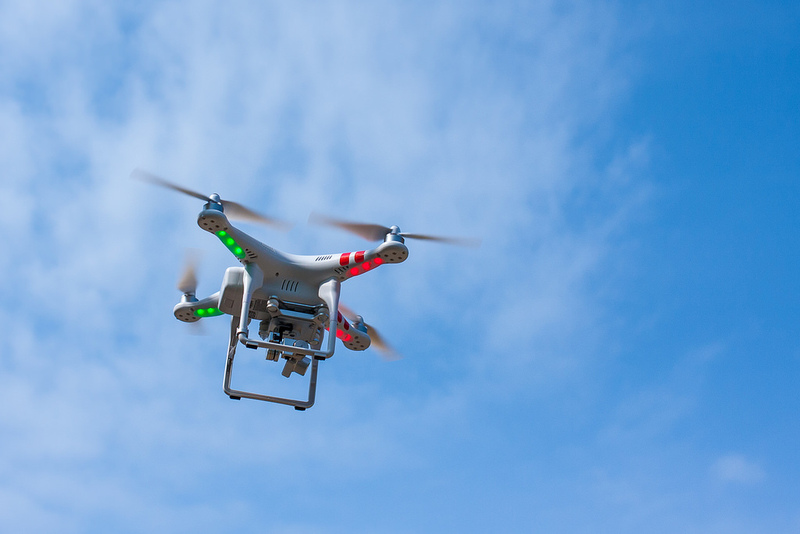 The FAA points out that even the small, hobby-type drones can be dangerous to planes, and that it’s illegal to operate them in a way that interferes with manned aircraft. Like, say, flying them near a major airport. If you’re caught flying a drone where you shouldn’t be, the FAA can could hit you with fines ranging from $1,000 to $25,000. Queens District Attorney Richard A. Brown said he’s going to take a more aggressive approach to finding and prosecuting people who fly drones near local airports, after the incidents at JFK last week. Some passengers at Newark yesterday approved of moving toward tougher regulations.